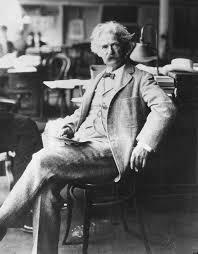 For the purposes of this article we will use his pen name but he was born Samuel Langhorne Clemens in 1835, in a small town in the state of Missouri. His boyhood home was his inspiration when writing both the aforementioned stories. It was a simple enough life and he left school aged only 12 a year after his father died, taking up an apprenticeship as a printer. He later tried out typesetting and article writing for the Hannibal Journal, a newspaper run by his big brother Orion. 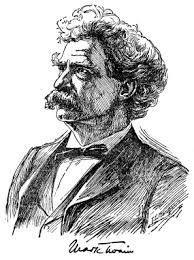 He persevered with printing in a number of places and then studied hard to be a river boat pilot on the Mississippi river, achieving his license and practicing the trade for a number of years. It was only the outbreak of the American Civil War in 1861 that stopped him. 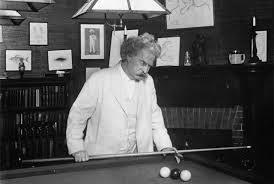 It was when Twain secured a job as a full time journalist though that he finally found his calling. His humorous style caught the attention of people across the States when he wrote a story called The Celebrated Jumping Frog of Calaveras County, inspired by a visit to a Mormon community in Salt Lake City. 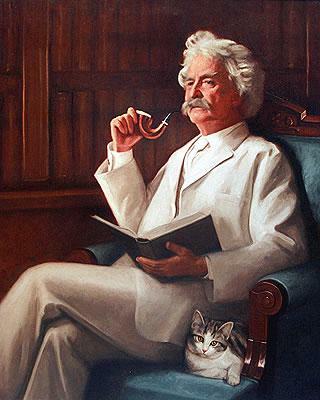 He travelled widely across the States and wrote amusing accounts of what he saw. 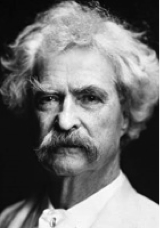 As his fame spread he began to move in exalted circles, numbering among his friends fellow writers and artists, captains of industry and even the President of the United States. Worldwide travel followed and he was invited to various European royal courts. 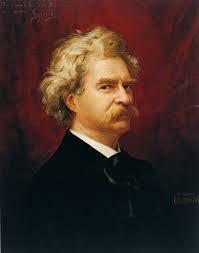 In 1869 he published a collection of articles describing these trips and called it The Innocents Abroad. 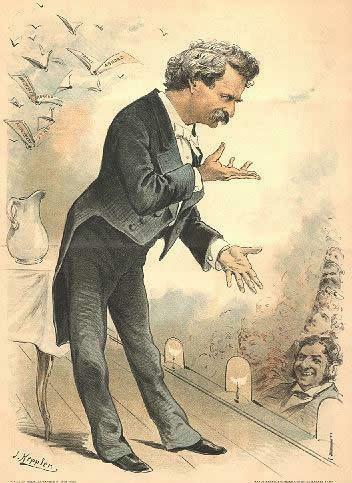 Mark Twain enjoyed a long career in writing, often composing humorous stories and verses that were mostly published in magazines and articles. 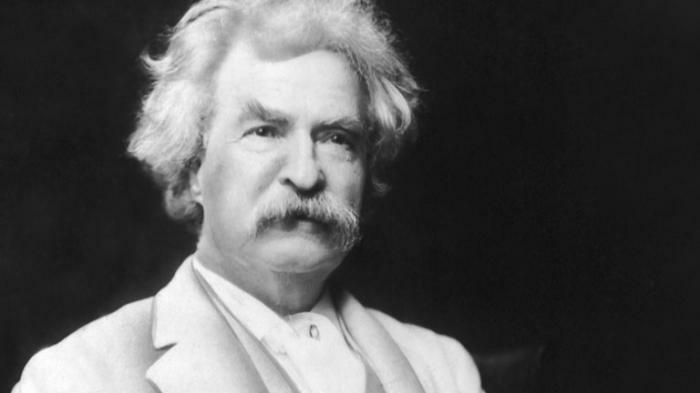 As he progressed though, and of course as a result of his worldwide travels, his writing took on a harder edge, chronicling some of the terrible things that man did to other men. 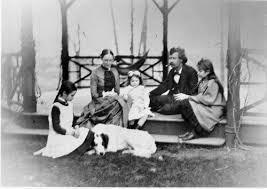 He married his wife Olivia in 1870 and she bore him three daughters. It was a long and happy marriage, only curtailed on Olivia’s death in 1904. 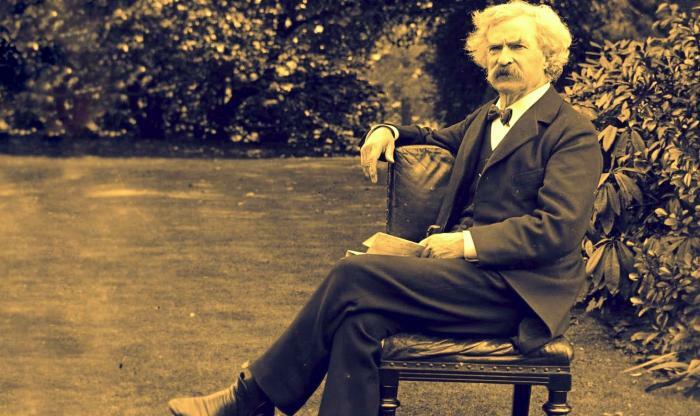 Twain lived another six years after this and there is a curious story surrounding both his birth and death. When he was born in 1835 Halley’s Comet happened to be passing over at the time and he remarked in 1909 that he would “go out with it” as well. It was universally known that the comet would be back the following year and, sure enough it returned on 20 April 1910. 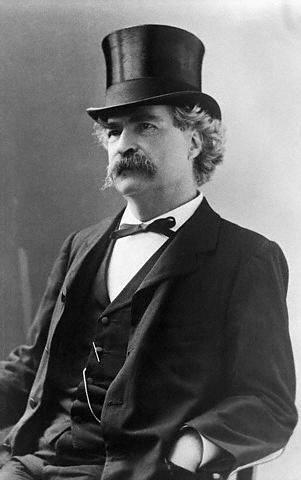 Mark Twain died the following day of a heart attack in Redding, Connecticut, aged 74.